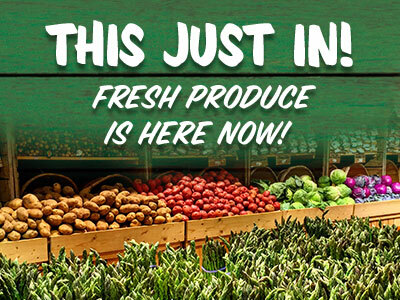 Norwalk, Conn. – March 8, 2018 – Stew Leonard’s chefs are making it easy for shoppers to create fresh holiday menus this spring, whether their family gathering calls for a juicy Easter ham or a tender brisket for Passover. In the week leading up to Easter and Passover, Stew Leonard’s will sell more than 55,000 pounds of ham, 50,000 pounds of lamb, and 20,000 pounds of beef brisket. Stew’s culinary teams and catering experts are on hand to help alleviate the stress of holiday menu planning. Both Easter and Passover menus will benefit from a bevy of fresh spring vegetables to choose from in Stew’s produce department– including asparagus from Washington State and fiddlehead ferns from Maine– while Bethy’s Bakery will be overflowing with Easter breads, flourless chocolate pecan cookies, and holiday-themed cakes. 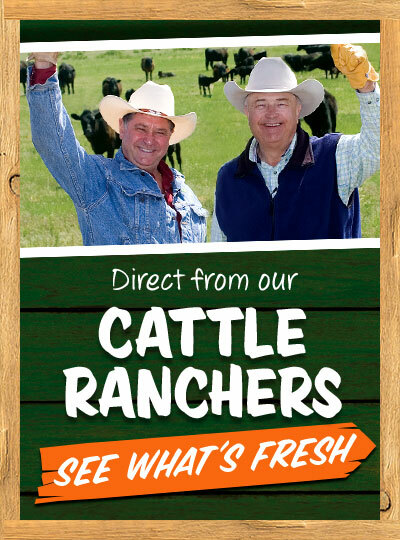 For the centerpiece of the meal, customers can choose from Stew Leonard’s antibiotic and hormone free Naked ham, antibiotic and hormone free Naked Lamb, a juicy turkey, or a tender brisket. Whether customers need an entire meal cooked soup to nuts or just need a hand with appetizers, salads, or sides, Stew Leonard’s award-winning chefs prepare each dish with only the freshest and best ingredients available. Stew’s Easter catering menu this year includes three special Easter Dinner for 8 offerings for $150/each: a spiral sliced hickory-smoked ham, turkey or a lamb plus four homestyle sides, snowball rolls, and two freshly baked pies. All side dishes are made from scratch and feed 8 guests; classic selections include Idaho mashed potatoes while newer offerings are maple glazed carrots, four cheese mac & cheese and loaded mashed potatoes. New this year is a Filet Mignon Dinner for 8 for $299, which included an oven-ready filet mignon, extra-large shrimp platter, choice of salad, choice of four side dishes, snowball rolls, two quarts of either Lobster Bisque or New England Clam Chowder, and a choice of a freshly made fruit tart or cheesecake sampler. 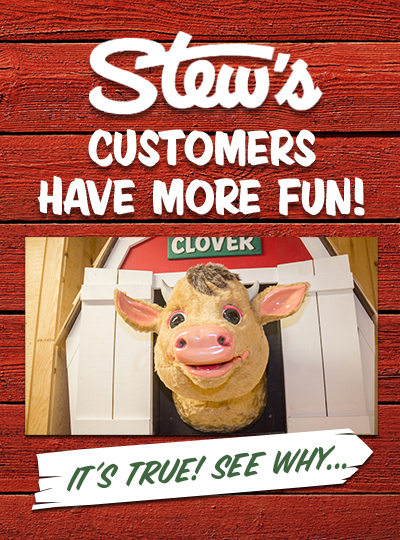 Customers may also select a Stew’s NAKED ham, lamb, filet, or turkey – all of which are antibiotic and hormone free – as part of their Dinner for 8 order. Stew’s Passover catering menu this year includes two special Dinner for 8 offerings. A Brisket Dinner for 8 is available for $175 and includes a brisket, a choice of two sides, a box of matzo, 1 pint of Stew’s Red Wine Steak Sauce, 16 potato pancakes, and 12 flourless pecan cookies. The Turkey Dinner for 8 is priced at $150 and includes 1 medium roasted turkey, a box of matzo, 1 quart of turkey gravy, one pint of cranberry sauce, 1 pan of traditional matzo stuffing, and 12 flourless chocolate pecan cookies. Side dishes include a selection of farm fresh vegetables, including mashed potatoes, roasted asparagus, baby carrots & prunes in a honey pineapple glaze, and more. A half-gallon glass jug of Stew’s Chocolate Bunny Milk will be available for $5.99 starting on March 20, 2018 at all six Stew Leonard’s locations. 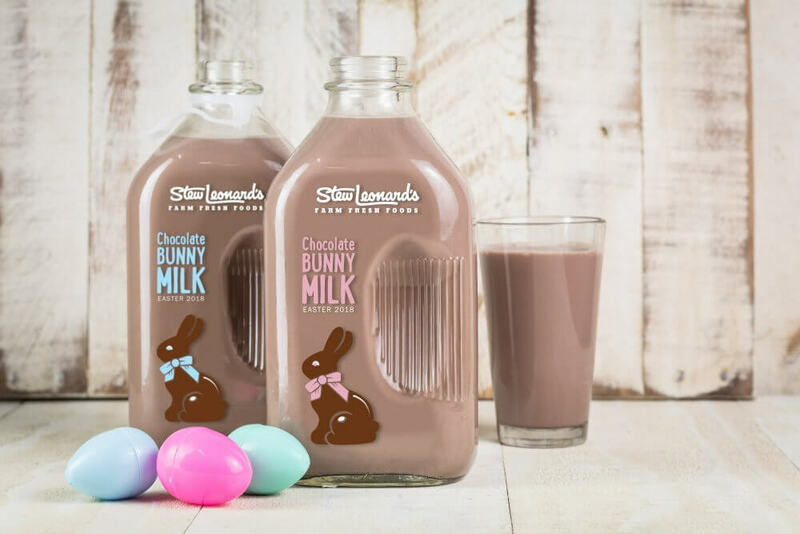 Stew Leonard’s signature farm fresh milk is mixed with creamy milk chocolate to create a sweet, irresistible chocolate milk that tastes just like a classic chocolate Easter bunny. 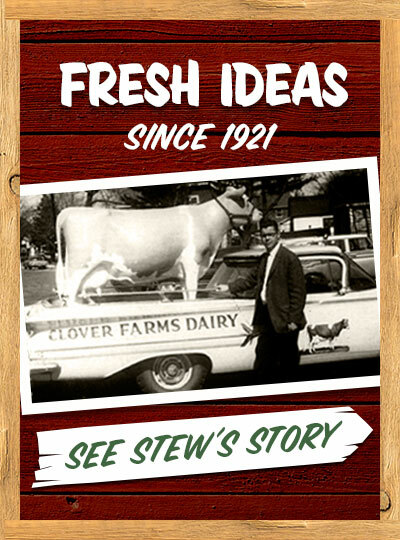 Stew Leonard’s milk is delivered fresh to our stores from award-winning dairy farms in upstate NY and is free from artificial growth hormones (rBST) and antibiotics. The milk will only be available for a limited time. Chef Michael Luboff fondly recalls his family’s celebration of the Jewish holidays, the centerpiece of which was always a cut of meat from his grandfather’s kosher butcher shop. Two of his favorite childhood dishes were his mother’s Roasted Brisket of Beef and Sweet & Sour Meatballs with Cabbage. Here, he combines these two recipes into a tender, succulent dish that’s a wonderful homage to his family’s history. In a large pan, sear both sides of the brisket (about 3 minutes per side) in a ¼ inch of olive oil on medium-high heat. Place the cabbage, onions, carrots and celery in the bottom of a large roasting pan; place the brisket on top. Mix the remaining ingredients until blended. Pour the mixture over the brisket and cover all with aluminum foil. Bake under fork tender (about 2 hours). Remove the brisket and allow it to rest for 15-20 minutes. Cut against the grain of the meat and ladle generously with sweet & sour pan gravy. Stew Leonard’s, a family-owned and operated fresh food store founded in 1969, has six stores in Norwalk, Danbury, and Newington, Conn. and in East Meadow, Farmingdale and Yonkers, N.Y. Stew’s earned its nickname, the “Disneyland of Dairy Stores” because of its country-fair atmosphere, with costumed characters and animated entertainment throughout the store that keep children entertained while parents shop. Stew Leonard’s legion of loyal shoppers is largely due to the stores’ passionate approach to customer service: “Rule #1 — The Customer is Always Right”; Rule #2 – If the Customer is Ever Wrong, Re-Read Rule #1.” This principle is so essential to the foundation of the company that it is etched in a three-ton granite rock at each store’s entrance. The company’s culture is built around an acronym for S.T.E.W. 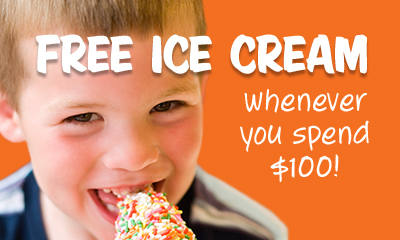 : Satisfy the customer; Teamwork gets it done; Excellence makes it better; WOW makes it fun. 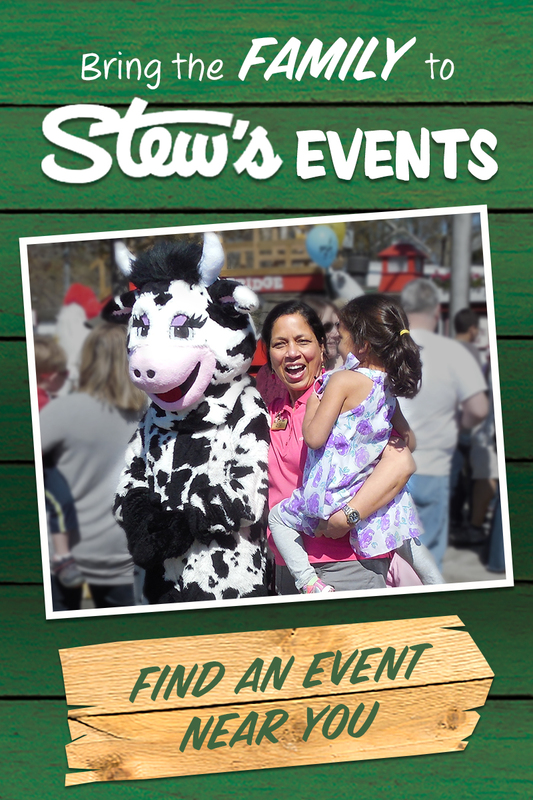 For more information, visit Stew Leonard’s website at www.stewleonards.com.